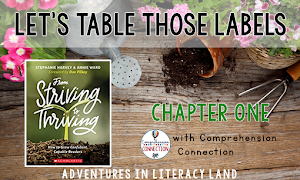 As the shift in reading has moved toward informational texts, we all seem to have to find a way to entice students to want and love to read those informational texts. Buy why would they want to read them if they have no interest in them, especially if someone tells them they have to read them! But with a special lesson called "Heart, Head, Hands, and Feet" students will want to read informational texts and learn from them! For whatever reason, I came across a pin of this item (below) in my Pinterest feed and it caught my attention. It's a word cloud from a 7th grade social studies teacher. She makes a word cloud of her state's standards to share with her students at the start of the year so they can make inferences about what they will be learning. I'm always looking for different ways to teach inferring, so I thought about how this could be used with younger students as a pre-reading activity. I decided to make a word cloud with the text of a picture book to see if it would in fact pull out important words. I made two word clouds with two different spring themed books and I was pretty happy with how they turned out. For the most part, they both seem to pinpoint the important vocabulary from the text and I think they definitely give students insight about the text they are about to read. 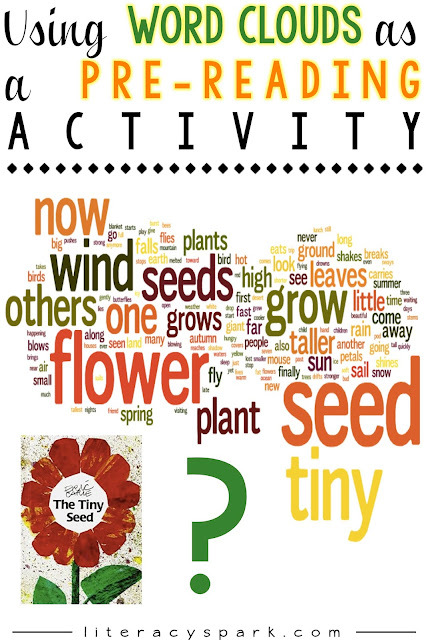 So how could you use these word clouds with younger readers during a pre-reading activity? Note: Since these texts are mostly nonfiction, I am focusing on those skills. In the future, I'd like to try a fable or another genre and see what the results are. Identify the topic: Easy right?! What is this text going to be about? What makes you think that? The kids need to go beyond just saying seeds or plants. 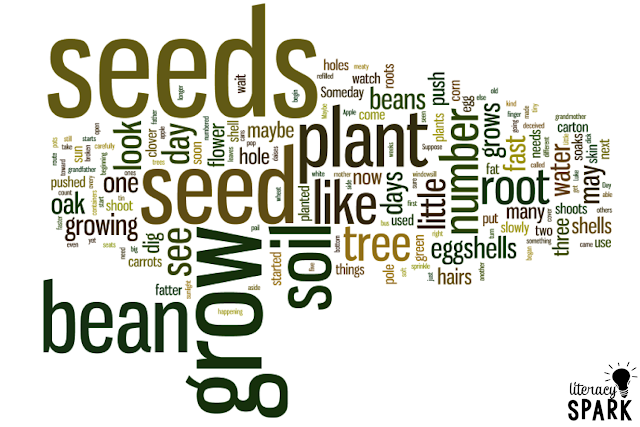 They should be able to figure out that the first word cloud is for a book about a tiny seed growing into a flower, for instance. Make inferences about the genre: Students should be able to figure out that the texts are non-fiction or informational once they identify the topic. 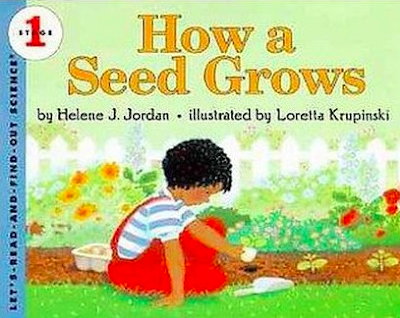 Set purpose for reading: Following above, once identifying the topic and genre, the next natural step is to set a specific purpose for reading (to gather information about how a seed grows into a flower or plant). Likewise, ask students to determine the author's purpose (to give information). Access prior knowledge: We do KWL's or concept maps before reading all the time. 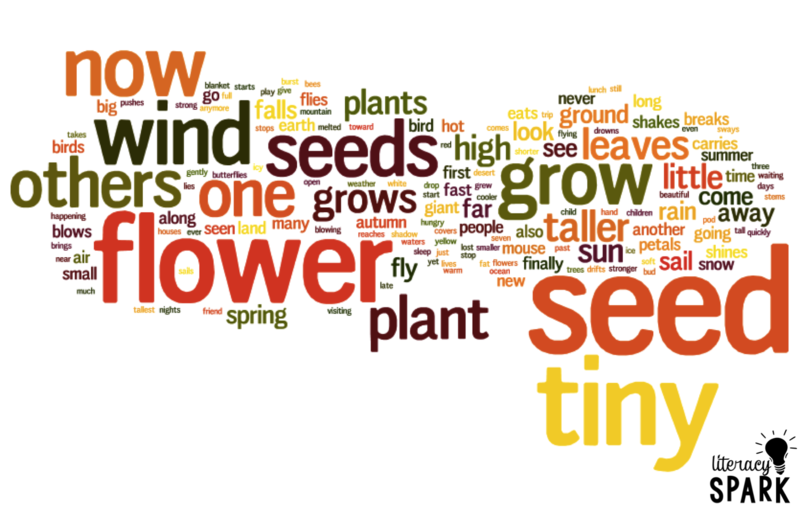 Students looking at a word cloud of a text before reading would have a little bit more to go off of versus just a single word (i.e. What do you know about plants?). The presence of other words will tip them towards other concepts they may not have thought of and their responses will be more detailed. Develop questions: Have students ask questions that they have about the concepts on the word cloud. 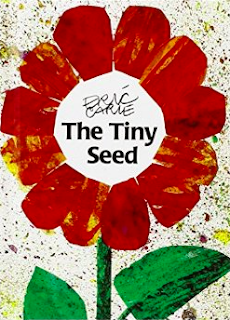 Another idea is to have students ask questions that they believe will be answered in the text, even if they already know the answer (such as, What is a seed?). Sometimes kids just need practice developing relevant questions. Introduce vocabulary: While doing the above activities, assess how familiar your students are with the shown words and pre-teach necessary vocabulary that your students are not familiar with. As a side note, I made these word clouds using Wordle.net. There are lots of other options but this was free, easy, and what popped into my head! It did take me about ten minutes to type in the text for the book but it wasn't that much of a hassle, especially if it's for a book you would use every year. I tried making them with Tagul too because you can do shapes, but I felt like it was a bit harder to read with so many words. 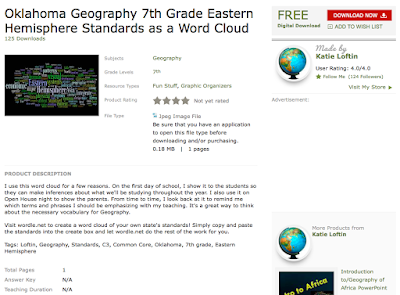 Do you use word clouds in your ELA classroom? Share your ideas with me! Hello Everyone! It's Colleen and Stacy from The Rungs of Reading. Today we are going to share a nonfiction strategy that Stacy loves to use in the Reading Room called the Text Feature Walk! Most primary-aged students learn how to do a "Picture Walk" before reading a story. While previewing text, students activate prior knowledge, make predictions, and set a purpose for reading the book. Effective reading instruction includes this important strategy yet this supportive practice is not as common when using informational text. When entering intermediate grades, students may experience difficulty reading textbooks and informational text due to high-level vocabulary and unfamiliar concepts. In addition to these complexities, students encounter numerous text features throughout the text that often get overlooked even though they have been taught their importance. The Text Feature Walk is a technique that explicitly teaches the purpose and importance of text features which enables students to navigate any informational text more effectively. First, students learn how text features support informational text. Familiarizing your students with the purpose of each text feature is key to the lesson's success. Additionally, it is important to model an interactive discussion about text so that students will be prepared to do it on their own. 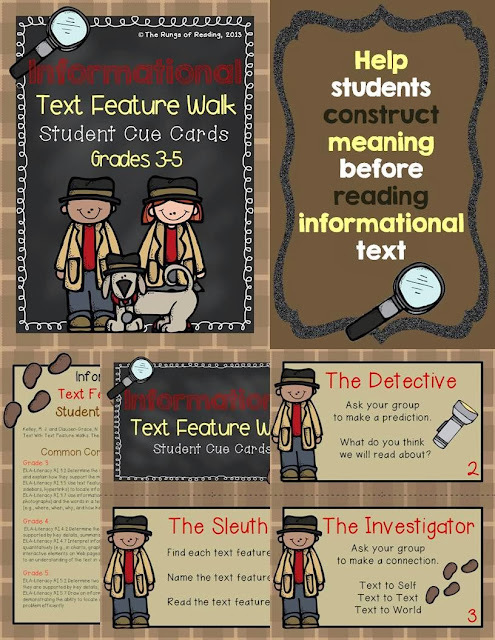 Once students are familiar with text features and are able to hold a focused discussion about text, you can easily introduce the steps of a Text Feature Walk. 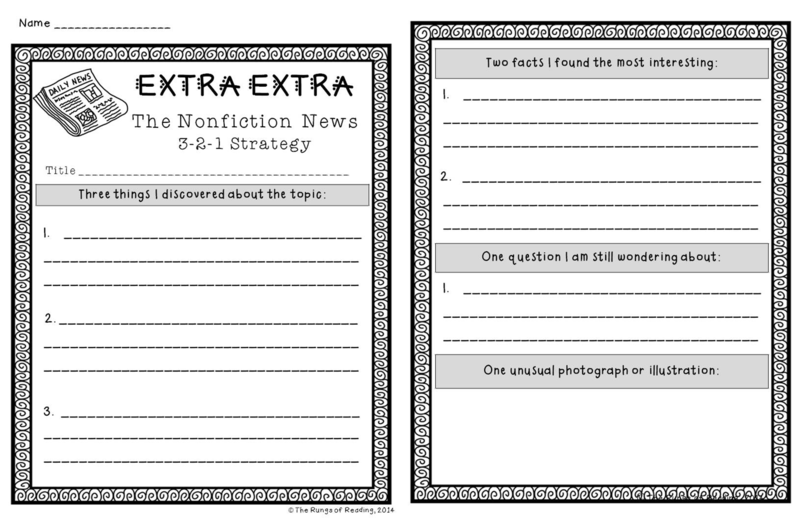 Through explicit modeling and thinking aloud, demonstrate the steps to follow while taking a Text Feature Walk using a short nonfiction article. 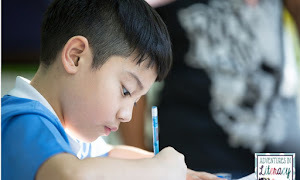 The steps outlined on our Student Cue Cards include identifying the text feature, making a prediction, making a connection, asking questions, and predicting the main idea. Part 2 of the lesson focuses on guided practice with the teacher providing support as needed. Within small groups, students use the cue cards to preview and discuss each text feature in order to activate prior knowledge, make connections, and set a purpose prior to reading the information text. Once groups are finished, have students come back together as a whole group to discuss what went well and what they learned from their discussions. They are now ready to read and more fully comprehend the text! We hope you enjoyed learning more about using the Text Feature Walk! To get you started using this important cooperative learning technique, please download our LIMITED freebie that includes all of the cue cards you will need. This freebie will be available until May 2nd at 9:00 EST. Responding to Informational Text using the 3-2-1 Strategy! Hello, friends! 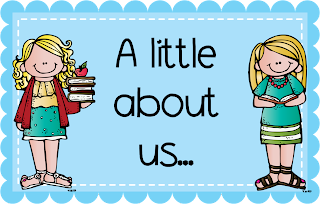 We are Colleen and Stacy from The Rungs of Reading here to talk to you about an effective "After Reading" strategy for informational text called 3-2-1! This strategy can be used in both primary and intermediate grades in whole-class, small group, or individual settings. 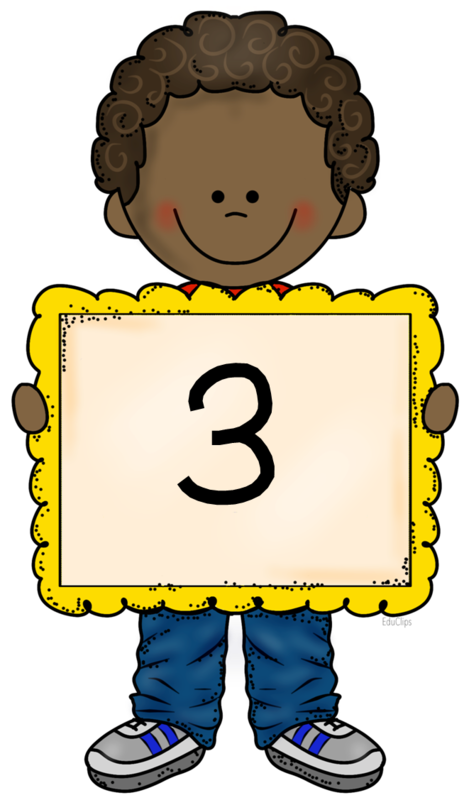 The 3-2-1 strategy is especially successful with struggling readers as it helps them comprehend, summarize, and retain information they've read. 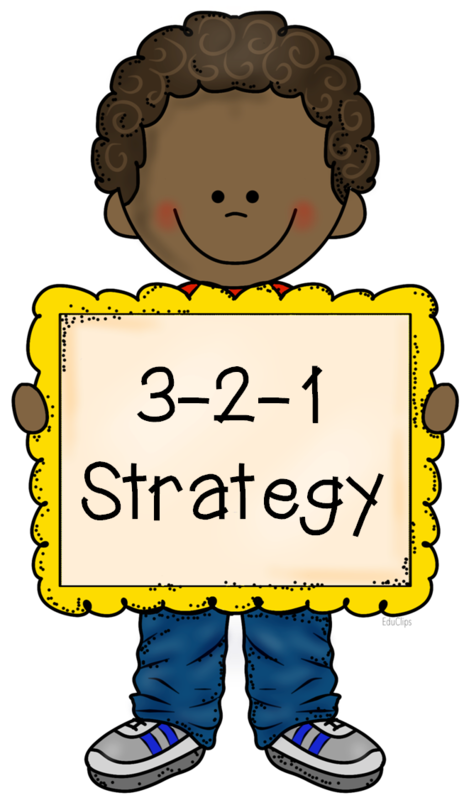 The 3-2-1 strategy can be used with informational books, magazine articles, biographies, even websites! 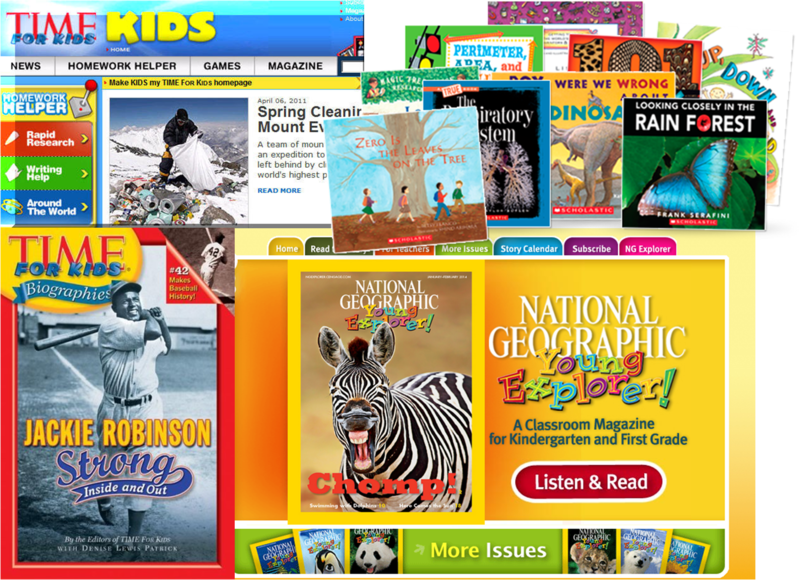 Here are a few of our favorite books and websites we have used with this strategy! After reading, exploring, and discussing an informational text or website, students actively engage with their reading by summarizing three important points from the text. Summarizing requires the reader to focus on the major elements of the text and to determine what is important. 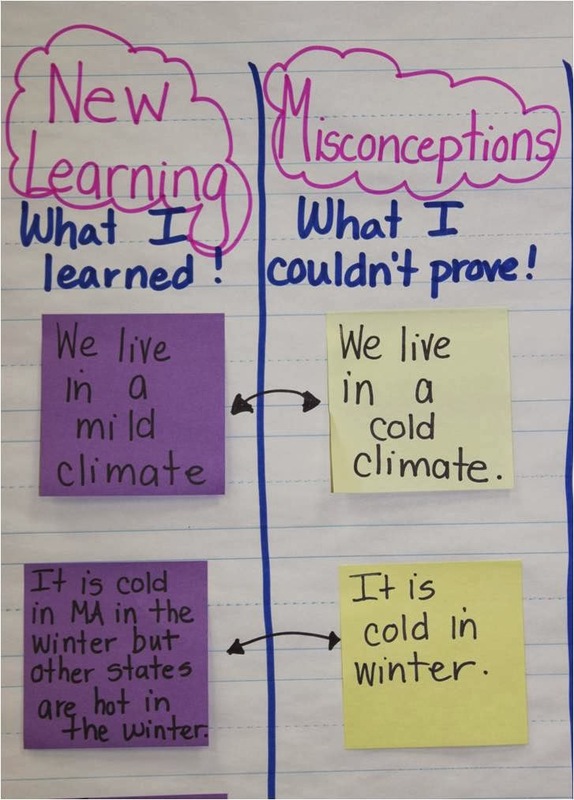 When students are selecting these important points, the teacher should guide students in choosing new facts and information they learned from the text (not prior knowledge). After recording three new discoveries on their graphic organizers, students go back into their reading to choose two interesting facts. At this point, the teacher should guide students in selecting facts and information that is unusual or exciting. For example, "the baobab tree can reach the height of a five story building". Finally, students brainstorm and record one question they still have about the topic they read. This is a good opportunity for students to share and discuss their questions with classmates in preparation of additional research. Students complete the graphic organizer by drawing an interesting photograph, diagram, timeline, etc. that illustrates the topic they read about. 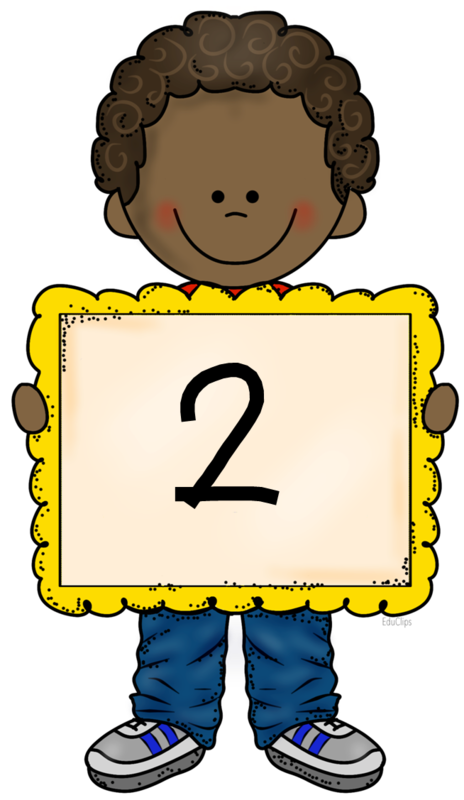 We hope you enjoyed learning more about the 3-2-1 reading strategy! Here is a little FREEBIE to get you started! Depending upon the age and ability of your students, you may want to differentiate your expectations when having them complete the graphic organizer. For example, younger students or struggling readers can be instructed to copy facts and information directly from the text. Older or more capable students can be instructed to paraphrase or summarize information in their own words. When initially modeling the strategy for students, you can explain which expectation you would like them to follow. 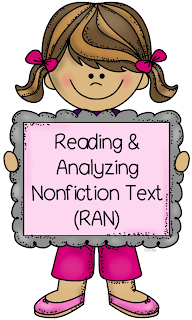 Read & Analyze Nonfiction Text with the Rungs of Reading! Hello, Friends! We hope you are enjoying the long weekend (for some of us, anyways) and are excited as we are about all of the wonderful ideas we have been reading about this past week! We are incredibly grateful to be part of this dynamite group of literacy gurus! 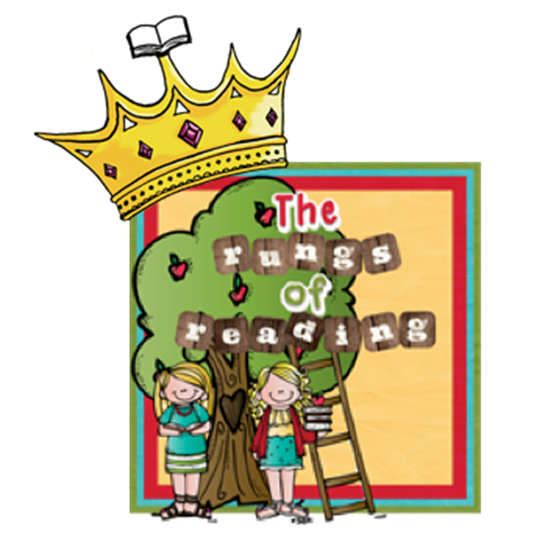 We are Colleen and Stacy from The Rungs of Reading. After teaching special education for 13 years, I (Stacy) moved into the role of Elementary Reading Specialist at my K-5 school. I have been teaching reading for five years and absolutely LOVE my job! Colleen is working hard as a first-year second grade teacher after finishing her undergraduate degree in early elementary with a Master's in Reading. 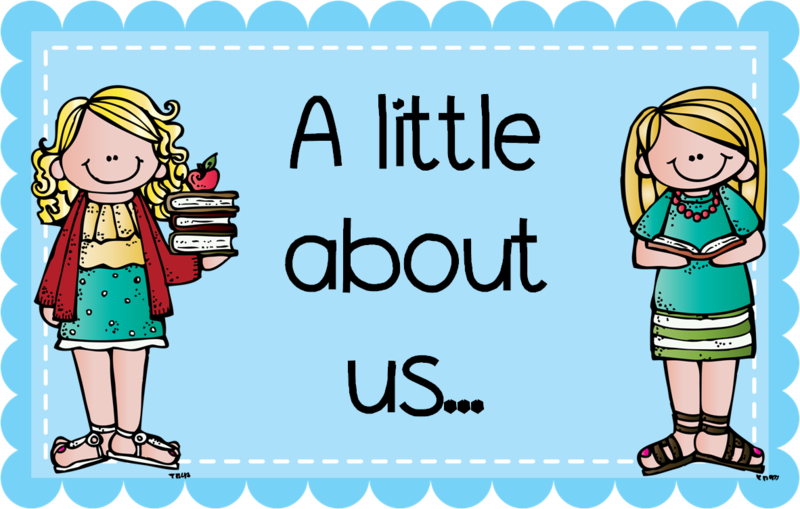 The idea for our little blog began when Colleen was completing her reading practicum in my classroom. 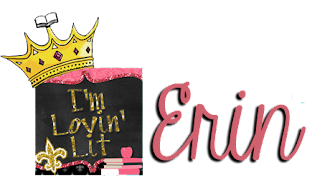 She quickly introduced me to the world of teaching blogs, and I was hooked! 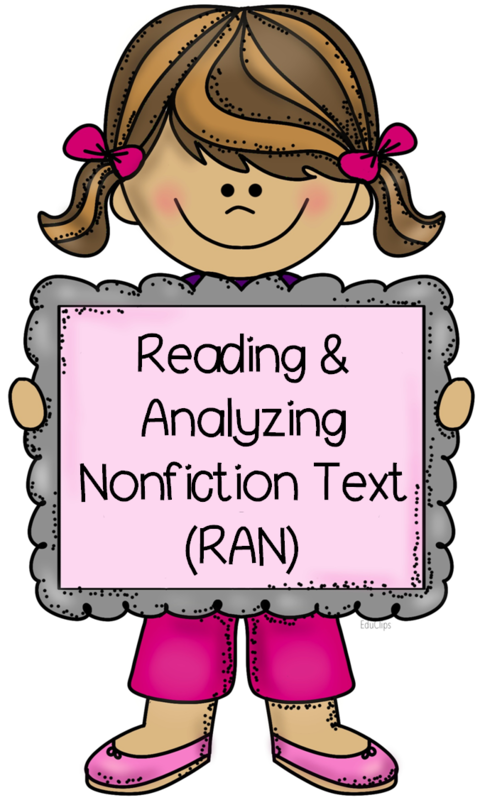 Today we are going to share one of our favorite comprehension strategies that we use in our classrooms called "Reading and Analyzing Nonfiction Text" or RAN, for short. Now that the Common Core State Standards stress an equal balance of literature and informational text in the classroom, we have spent a considerable amount of time building our nonfiction libraries and revamping our lessons to include more informational text strategies. 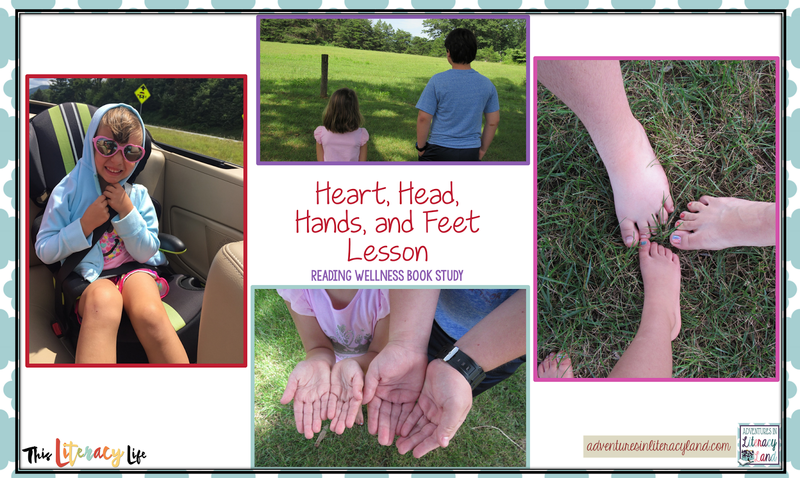 RAN has proven to be an effective strategy to use with informational text as it encompasses both before, during, and after reading activities. In addition, it requires students to use a variety of strategies including activating schema, confirming thinking, and asking questions. Finally, this strategy can be done with teacher support in a whole-class or small group setting or independently while using a graphic organizer. 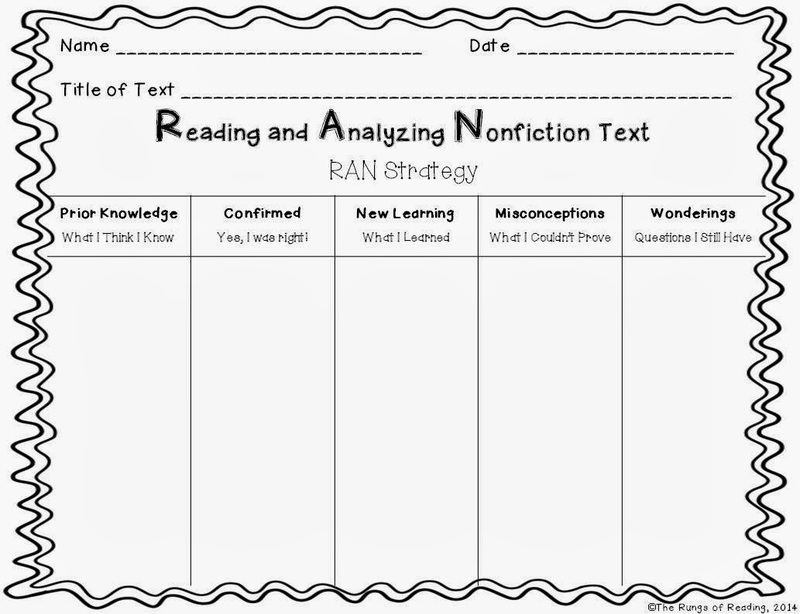 When using the RAN strategy, students begin by brainstorming what they think they know about a topic. These ideas are written on individual post-its and placed in the first column of the chart or graphic organizer. 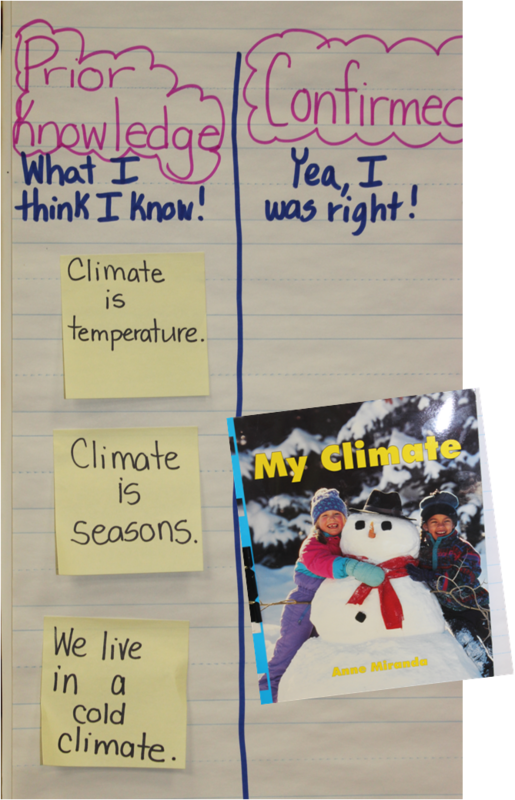 Here is an example of a RAN chart after brainstorming what my second grade students knew about the topic "climate". I recorded their ideas and placed the post-its on the chart. After brainstorming, students read the text for the first time. When they find a confirmation in the text, that post-it is transferred into the second column of the chart or graphic organizer. Here is our RAN chart after some initial thoughts were confirmed. Notice that some of our ideas are missing! After the first reading, students review the chart and attend to any misconceptions they might have had about the content. These ideas are transferred to the fourth column of chart or graphic organizer. At this time, students can revise their thinking and add their ideas to the "new learning" column of the chart or graphic organizer. Finally, the strategy concludes by reading the text a second time then thinking about what questions the students still have about the content. This is a perfect time to explain that sometimes our questions are not answered when reading a text and we have to do additional research to find answers. 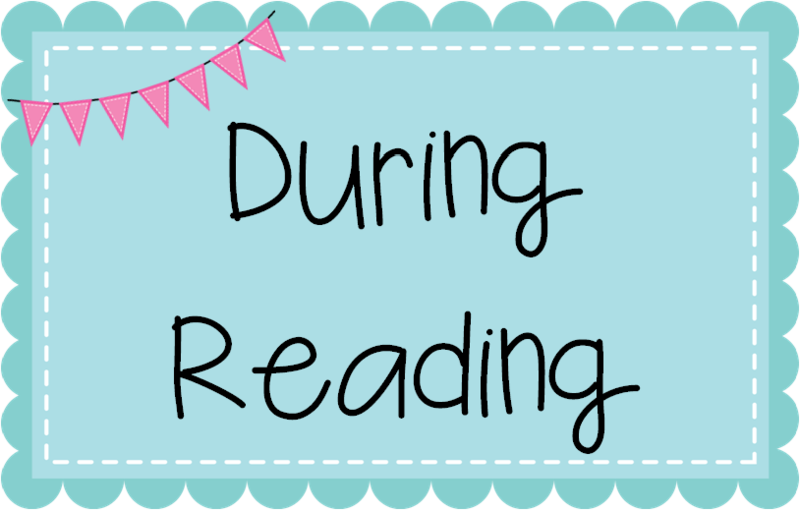 We hope you enjoyed reading about one of our favorite strategies to use when teaching informational text. Here is a little FREEBIE to help you out when using the RAN strategy! Hello Friends! It's Erin from I'm Lovin' Lit here. I'm wondering if any of you might have had similar experiences with this topic in the past. During my 11 years of teaching, I have witnessed a revolution in the way literacy is taught in the content areas. When I started my teaching career in 1st grade in 2003, they said to keep the reading out of social studies and science content. They said that it wouldn't be fair to the non-readers. They said that students who couldn't read or were weak readers would fall behind in other subjects because they couldn't read. They said to modify my lessons. They said to keep the reading out of social studies and science. It sounded good to me. 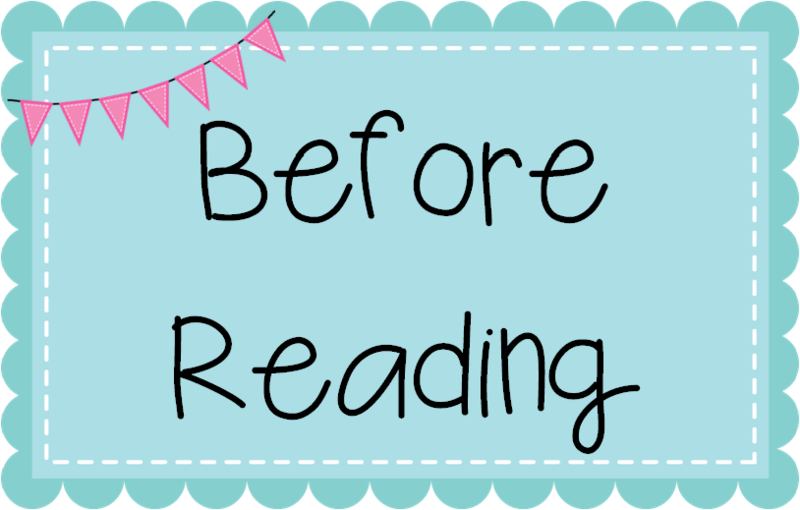 I was very careful to keep the reading and reading skills separate from other content areas. When I moved up to 4th grade three years later, I taught only reading and social studies. Oh, just imagine the things I could have done with that! But, they had said to keep the literacy out of social studies, right? So, I did. I kept them separate. Fast forward several years. I'm teaching 6th, 7th, and 8th grade reading, and I'm trying to stay ahead of this whole new Common Core thing. You mean... I'm supposed to merge reading and the content areas? 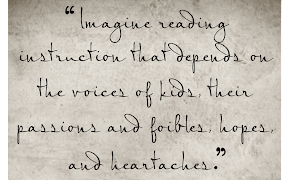 So, what do YOU do to merge literacy with content areas? Now that I teach reading only and don't have other content that I'm responsible for like social studies or science, I find that it's actually fun to incorporate those subjects. I'll be the first to tell you (and my students) that I'm just not a "science kinda gal," but you know I love me some social studies, and I collaborate with our social studies teacher every chance I get. In fact, she has taught me SO MUCH about literacy in the content areas just by the way she teaches her lessons. Common Core calls for us to use primary sources, to analyze them and figure out for ourselves what they mean and how history of that time unfolded. And she's been doing that since before Common Core came to town! One of the easiest ways to incorporate literacy into the content areas is to send my students on fact-gathering missions. Is it always using tons of higher-order thinking skills? No, not always. But it's great practice locating information, synthesizing, paraphrasing, summarizing, skimming, scanning, and READING! Here's one such activity just in time for Martin Luther King, Jr. Day. It's FREE, but only for a limited time, so be sure to download your copy TODAY!